*This Adventure is available from January 4th 2019 – December 23rd 2019. 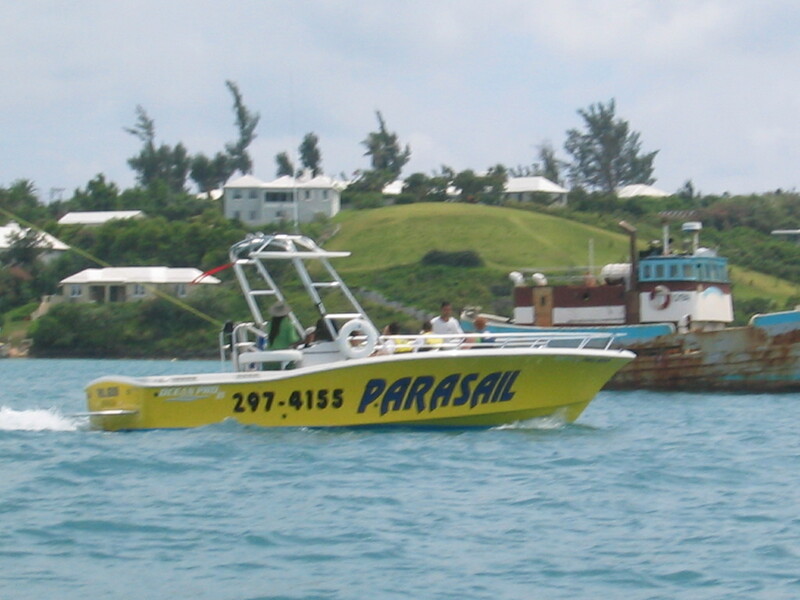 Our Signature Jet Ski Adventure which is offered several times per day, seven days a week from our Dockyard Location. This Adventure is 75 minutes long and takes you around the amazing western end of the island. Throttle up while you skim past some of Bermuda’s beautiful pink sand beaches, historic landmarks, the sea gardens, bridges, and shipwrecks, to name just a few. We even stop off at the H.M.S. Vixen shipwreck where hundreds of fish swim up to the Jet Ski’s whenever we arrive, a truly amazing site to see. Here you will get a chance to feed the fish from your Jet Ski, while our tour guide tells you a little bit about the shipwreck and the area around you. Depending on how fast the group is, we may also stop at a secluded beach area for a short swim or stop near the sea gardens where there’s a good chance of spotting sea turtles, longtail birds, manta rays, and much more. This adventure is suitable for all ages and skill levels and departs from our Dockyard location daily. 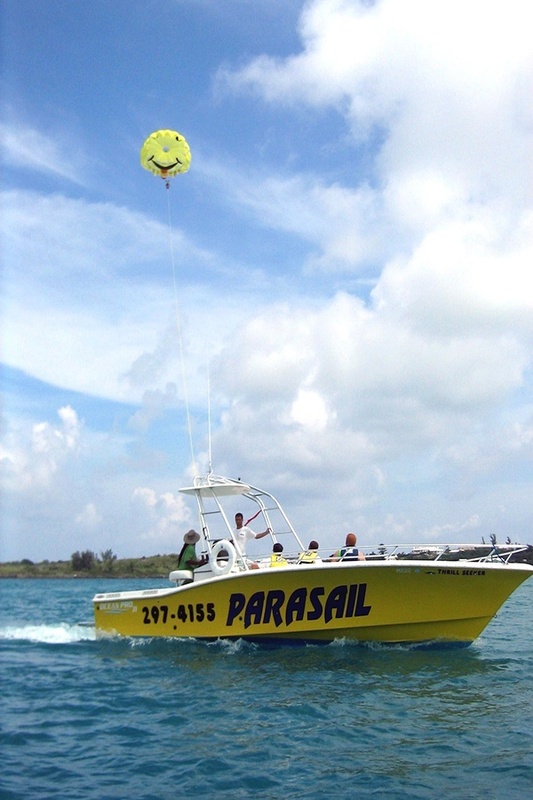 Special Low Rate (Book Online Early and Save $20.00 per Jet Ski on select tour times). This offer is available for a limited time only. (In 2019 we wanted to offer all our guests more savings and value on our Jet Ski Adventures. We added a reduced price option on select tour times for guests to save $20.00 per Jet Ski. [Book Early and Save]. Also the price of our triple person Jet Ski has been reduced to the same rate as our Double person Jet Ski price, a $10.00 savings – Weight restrictions apply for three persons on 1 Jet Ski). 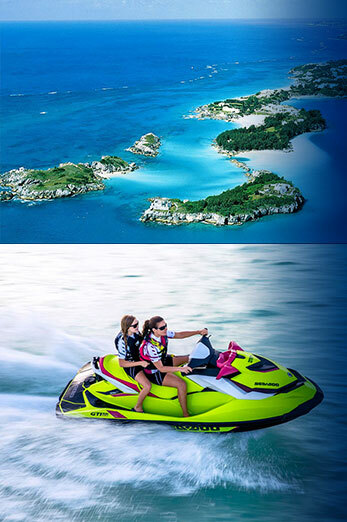 With our new Book Early Price option, we now offer the lowest price in Bermuda for Jet Ski rentals and tours, and we wanted to offer this quality fun packed Jet Ski Adventure to persons who are looking at savings and spending a little less, while still wanting to be out on the water and ride!) Book Online now. See the Schedules page for times that this Adventure is available. 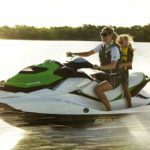 (See the FAQ’s section on this website for answers to common questions to do with our Jet Ski Adventures). *This Adventure is available from March 4th 2019 – December 23rd 2019. Our Ultimate Jet Ski Adventure which is offered several times per day, seven days a week from our Southampton Location. This Adventure is 75 minutes long and takes you around the amazing western end of the island. Throttle up while you skim past some of Bermuda’s beautiful pink sand beaches, historic landmarks, the sea gardens, bridges, and shipwrecks, to name just a few. We even stop off at the H.M.S. Vixen shipwreck where hundreds of fish swim up to the Jet Ski’s whenever we arrive, a truly amazing site to see. Here you will get a chance to feed the fish from your Jet Ski, while our tour guide tells you a little bit about the shipwreck and the area around you. Depending on how fast the group is, we may also stop at a secluded beach area for a short swim or stop near the sea gardens where there’s a good chance of spotting sea turtles, longtail birds, manta rays, and much more. 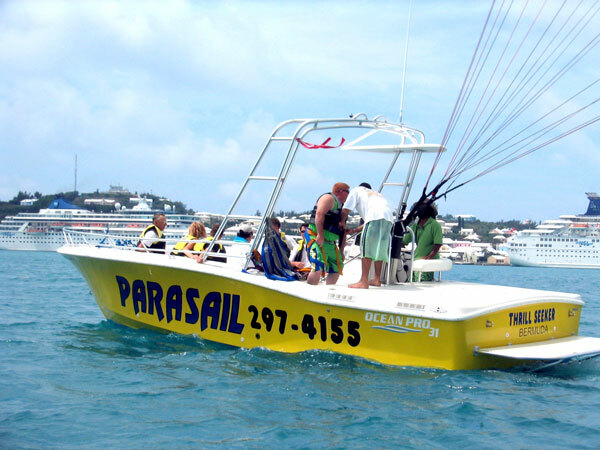 This adventure is suitable for all ages and skill levels and departs from our Dockyard location daily. (In 2019 we wanted to offer all our guests more savings and value on our Jet Ski Adventures. We also added a reduced price option on select morning tour times for guests to save $20.00 per Jet Ski. [Book Early and Save]. Also the price of our triple person Jet Ski has been reduced to the same rate as our Double person Jet Ski price, a $10.00 savings – Weight restrictions apply for three persons on 1 Jet Ski). 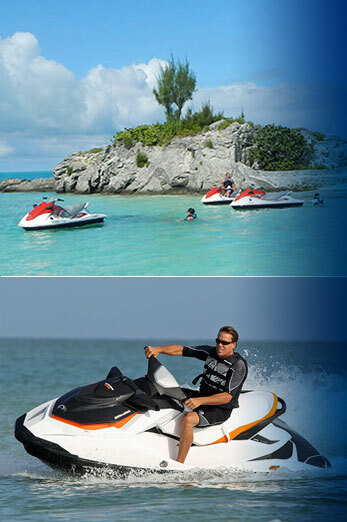 Our Jet Ski Island Adventure is offered several times per day, seven days a week from our Hamilton Location. 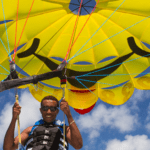 This Adventure is 75 minutes long and takes you through beautiful bays and harbours, around million dollar homes and exclusive private islands, plus we take you around the western side of Bermuda too. Throttle up while you skim past some of Bermuda’s beautiful pink sand beaches, historic landmarks, the sea gardens, famous draw-bridges, shipwrecks and more. We even stop off at the H.M.S. Vixen shipwreck where hundreds of fish swim up to the Jet Ski’s whenever we arrive, a truly amazing site to see. Here you will get a chance to feed the fish from your Jet Ski, while our tour guide tells you a little bit about the shipwreck and the area around you. Depending on how fast the group is, we may also stop at a secluded beach area for a short swim or stop near the sea gardens where there’s a good chance of spotting sea turtles, longtail birds, manta rays, and more. 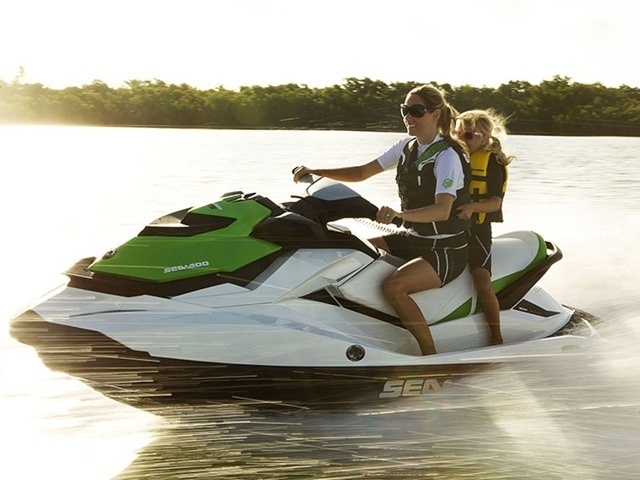 This Jet Ski adventure is suitable for all ages and skill levels and departs from our Hamilton location daily. Special Low Rate (Book Online Early and Save $20.00 per Jet Ski on select tour times) This offer is available for a limited time only. 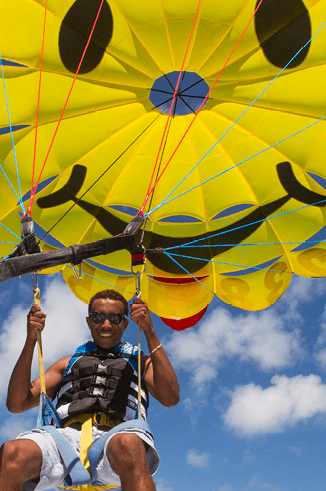 (In 2015 we opened our Hamilton water sports facility, located at the Hamilton Princess Hotel and Marina. This facility has many tour offerings and rental options, and provides guests staying near or in the city of Hamilton with a convenient location which offers exciting new and familiar adventure tours, boat rentals and boat charters). *This Adventure is available from April 1st 2019 – December 23rd 2019. 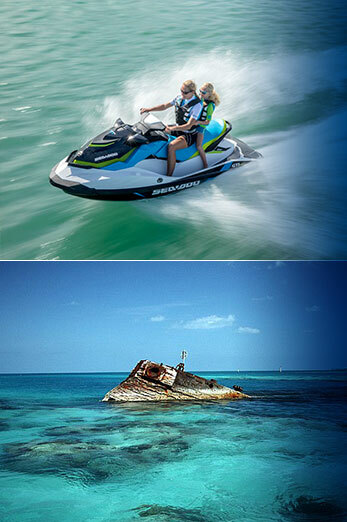 This Jet Ski & Swim Adventure is 75-90 minutes long and takes you around the beautiful eastern end of the island. Skim past Bermuda’s oldest forts, secluded reefs, famous homes and the luxurious “Billionaire’s Row”, while also stopping off at a secluded pink sandy beach area for a swim. 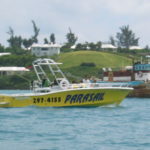 The eastern end of the island is absolutely breathtaking, and if you want to see some of the bests parts of Bermuda from the water, then this is the Jet Ski Adventure for you. 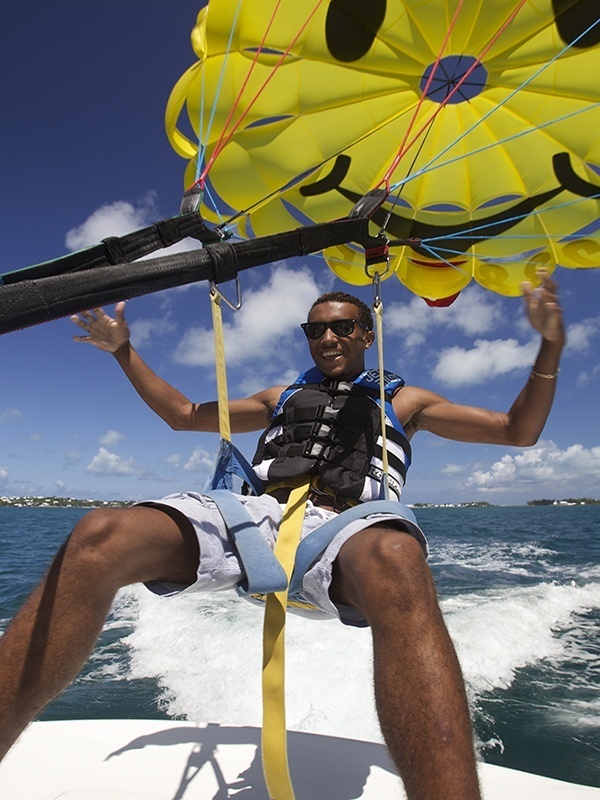 This Adventure is suitable for all ages and skill levels and departs from our St. George’s watersports location. Just a 25 minute Fast Ferry Ride from Dockyard or Hamilton. See the Locations page for routes and Maps to our St. George’s location. (In 2019 we wanted to offer all our guests more savings and value on our Jet Ski Adventures. 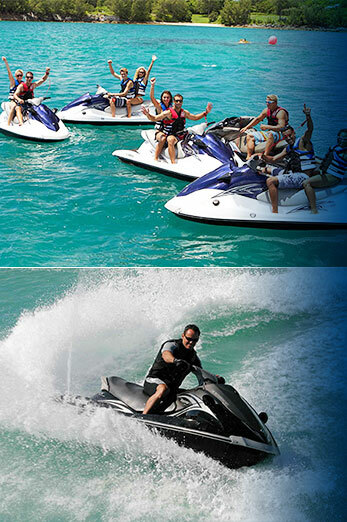 This Jet Ski & Swim Adventure is 75-90 minutes long and is being offered at a reduced rate on select tour times. Also the price of our triple person Jet Ski has been reduced for 2019 to $155.00 – Weight restrictions apply for three persons on 1 Jet Ski). (These Jet Ski Safari tours are available during the summer season months only and are not offered every day. (See our Schedules page for tour times and availability). Space is limited and these tours should be booked in advance online or over the phone to avoid disappointment). The 2hr Jet Ski & Snorkel Safari, 2hr Jet Ski Safari tour and the 2hr Jet Ski & Cliff Jumping Safari has a two Jet Ski minimum requirement per reservation. Please email us for inquiries, or you can Book your 2hr Jet Ski Safaris Online or call our reservations number to speak with a representative who will be glad to assist you with your reservation. 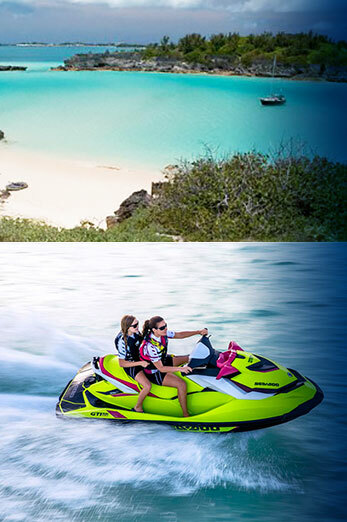 *This Jet Ski & Snorkel Safari is available from April 1st 2019 – November 30th 2019. 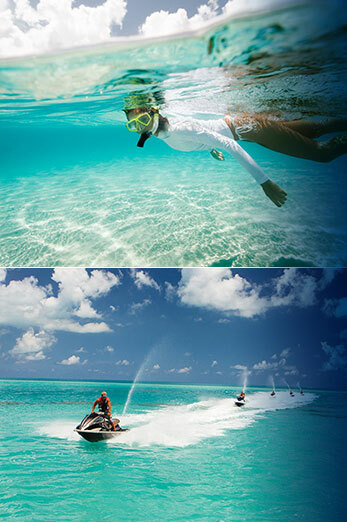 This Jet Ski & Snorkel Safari is 2 hours long and takes you around the amazing western end of the island. This tour covers all the same things that our “Jet Ski Adventure” includes, but with the added time and bonus of snorkeling at one of our secret hideaways in the west end. Our Jet Ski’s can maneuver and go places that are secluded and private, and this is where some of the best snorkeling is in Bermuda. This tour is suitable for all ages and skill levels and departs from our Dockyard, Southampton or Hamilton Locations. This 2hr Jet Ski & Snorkel Safari is available to Book Online or over the phone, and has a 2 Jet Ski minimum requirement per reservation. All drivers and passengers must be able to swim to partake on this snorkel tour. This 2hr Jet Ski & Snorkel Safari is also available on certain days from our Hamilton, Southampton and St. George’s watersports locations. Call for details. Just a 15 minute Fast Ferry Ride from Hamilton to Dockyard. See the Locations page for routes and Maps to our locations. See the Schedules page for times that this Adventure is available. (There is a 2 Jet Ski Minimum requirement per reservation for this tour). *This Jet Ski & Cliff Jumping Safari is available from June 10th 2019 – September 1st 2019. (Please call us if you are interested in this Cliff Jumping Safari tour before or after the above dates). This Jet Ski & Cliff Jumping Safari is 2 hours long and takes you around Bermuda’s gorgeous coastline plus gives you the opportunity to cliff jump in Bermuda. This tour will take you past shipwrecks, coves, famous landmarks, coral reefs, City of Hamilton, pink sand beaches and much more, plus you may even spot sea turtles, Bermuda Longtail birds and several marine species that can only be found in and around our local waters. Half way through this tour we also stop at a popular cliff jumping spot called “Dive Board Island”. Here guests can challenge their need for adventure and fun as this small island provides several different heights and platforms for jumping into Bermuda’s crystal clear waters. This area also provides a great spot to swim for persons who would rather watch then jump. 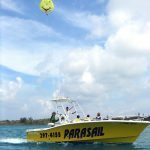 Once we leave Dive Board Island, rev up those engines one last time as we take you on an exhilarating ride back to our water sports facility. 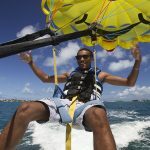 For extended Jet Skiing time on the water plus the added benefit of Cliff Jumping in Bermuda, come join K.S. 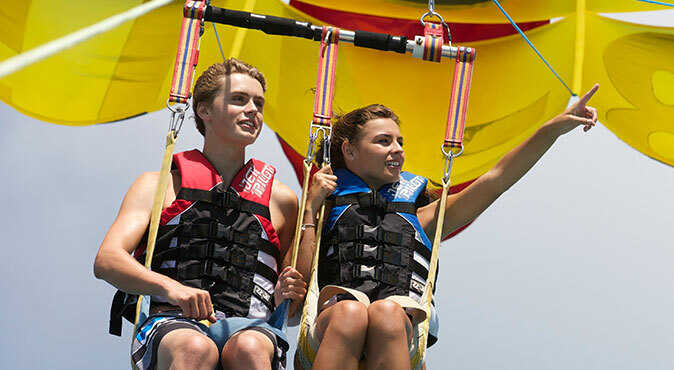 WaterSports and experience this fun adventure of a lifetime! This Safari tour is for individuals who are seeking adventure and who want to ride and be out on the water for a longer time than our regular 75 minute adventures. Prior Jet Ski driving experience is recommended. Any beginner drivers looking to partake on this 2hr Jet Ski & Cliff Jumping Safari must be prepared to operate their Jet Ski’s at a steady pace of around 35+ mph or more, to ensure that we can cover up to 15 miles of coastline in a 2 hour period. Just a two minute walk to and from our Dockyard location for cruise ship guests arriving at King’s Wharf & Heritage Wharf cruise ship terminals. (No taxi ride, fare, or transportation required) See the Locations page for routes and Maps to our Dockyard facility. (Hotel guests and locals have many options to and from our locations, Taxi, Bus, Car, Auxiliary Cycle with plenty of parking available, and the Sea Express Fast Ferry which lets you off right next to our K.S. 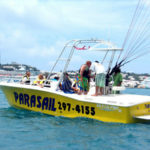 WaterSports facilities) Just a 15 minute Fast Ferry Ride from Hamilton to Dockyard. See the Locations page for routes and Maps to our locations. See the Schedules page for times that this 2HR Jet Ski & Cliff Jumping Safari is available. (There is a 2 Jet Ski Minimum requirement per reservation/booking for this tour). This Jet Ski Safari is 2 hours long and takes you around Bermuda’s gorgeous coastline to explore some of the best sites our island has to offer. 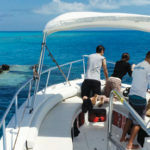 This tour will take you past shipwrecks, private islands, coves, famous landmarks, coral reefs, the city of Hamilton, beautiful pink sand beaches and much more, plus you may even spot sea turtles, Bermuda Longtail birds and several marine species that can only be found in our local waters. Half way through the tour we also stop at a secluded beach or near the Pompano Sand Flatts where you can walk around in the shallows or go for a swim in our glistening turquoise waters. This Safari tour is for individuals who want to ride and be out on the water for a longer time than our regular 75 minute adventures, and who have prior Jet Ski riding experience. Any beginner drivers looking to partake on this 2hr Jet Ski Safari must be prepared to operate their Jet Ski’s at a steady pace of around 35+ mph or more, to ensure that we can cover up to 15 miles of coastline in a 2 hour period. Just a two minute walk to and from our Dockyard location for cruise ship guests arriving at King’s Wharf & Heritage Wharf cruise ship terminals. (No taxi ride, fare, or transportation required) See the Location pages for routes and Maps to our Dockyard facility. (Hotel guests and locals have many options to and from our locations, Taxi, Bus, Car, Auxiliary Cycle with plenty of parking available, and the Sea Express Fast Ferry which lets you off right next to our K.S. WaterSports facilities) Just a 15 minute Fast Ferry Ride from Hamilton to Dockyard. See the Location pages for routes and Maps to our locations. (These Special Jet Ski Adventures are available during certain times of the summer season only and are not available every day. Space is limited and these tours must be booked in advance). These Private and Special Jet Ski Adventures have a two(2) or three(3) Jet Ski minimum requirement per reservation, depending on which special tour you choose. Please email us for information, inquiries and a quote. *Available between January 4th 2019 – December 23rd 2019. Here at K.S. WaterSports we understand that some of our customers would prefer having their own private Jet Ski tour with their own dedicated tour guide, and be able to travel and operate their Jet Ski’s at a comfortable pace without being part of a group. When available, these private Jet Ski tours can be customized and arranged to our guests liking and we offer many different tour options and packages that will suit all of your needs. From 2hr, 3hr, or half day Safari tours, to full day packages with stops at dedicated areas for lunch, swimming, or snorkeling, all is possible when considering one of our private Jet Ski tours. All private Jet Ski adventures & tours have a (2) Jet Ski minimum requirement per reservation, and we can accommodate small or larger groups of up to 24 Jet Ski’s or more. Please email us for information or inquiries, and a K.S. WaterSports representative will get back to you as soon as possible. See the Location pages for routes and Maps to all our three locations. Please email us for inquiries and/or a quote. Private Jet Ski Tours are based on availability. All private Jet Ski Reservations must be made and paid for in advance and there is a 48 hour cancellation policy for all private Jet Ski Adventures and Safaris. Tour Times and days for private Jet Ski tours will be arranged to guests liking and is based on availability. Book early to reserve your private Jet Ski Adventure today! This special Jet Ski Safari is 2.5 hours long and takes you from our Dockyard location to the beautiful northern and eastern ends of the island and back. Skim past Bermuda’s oldest forts, secluded reefs and the luxurious “Billionaire’s Row”, while also stopping off at a secluded private beach for a swim. This tour is suitable for all ages and skill levels and departs from our Dockyard location. This Safari tour is a special tour and must be booked in advance with a minimum of (3) Jet Ski’s required per reservation. Please call or email us for inquiries or to book.